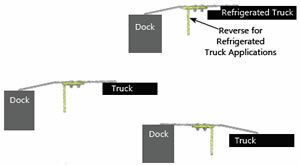 of moving/lifting Easily reversed for refrigerated trucks. 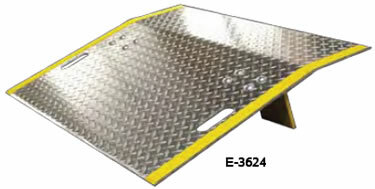 How to choose a dockplate - NON MOTORIZED USE ONLY! 2. Determine Capacity: weight of pallet jack + maximum weight of items carried + operator weight. Difference 1" 2" 3" 4" 5" 5.5" 6" 7" 8" 8.5" 9" 10" 11" 12" 13" 14" 15" 16"
30" 36" 42" 48" 54" 60" 66" 72" 78" 84" 90" 96"
capacities as actual, giving you an extra margin of safety.